This page does not have a(n) English (EU) version, English (Global) version will be displayed instead. ATEN eService is a web portal which provides a one-stop-shop for the following services, all with a single ID and password. Please create/login eService account first to get more following services. The latest news and promotions from ATEN. 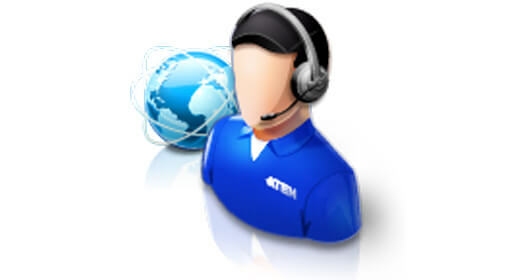 The on-line technical Support platform (eSupport) is for customers to propose questions, it is also an online knowledge base for ATEN troubleshooting questions, all questions are categorized and sorted as FAQ by products. This is a centralized portal which contains marketing, product and technology information resources, exclusively for our business partners. Partners are required to contact their sales representative to get authorization to access this resource.